Now a days I strongly believe that the Hall of Fame is not about the stats on the field, it's about if you upset anyone, wasn't friendly to the media or which media member's ego you stroked the most. With that being said I also believe that a Hall of Famer needs to present himself in a professional manner off the diamond. 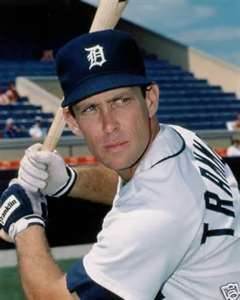 Alan Trammell, was a great player on the field and he was nothing but professional off of the field. He wasn't flashy, he didn't get into trouble, and he was not a player that the media could get a witty quote from. Trammell was just a player that did his job every day and carried the English D with pride. One may think, well that is all fine and good, but there is also fielding. OK, in fielding within this same list, Alan Trammell’s fielding percentage is .977 and he is only behind Ozzie Smith which has a .978 fielding percentage. 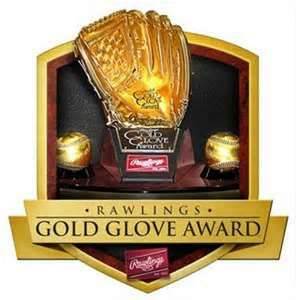 He also, only ranks behind Ozzie Smith with Gold Gloves as well, Smith won 13 Gold Gloves while Trammell won 4 (Larkin has 3 and the Gold Glove was not awarded during Rizzuto and Reese’s era). After all of the my preaching and all of the stats I threw out at you the bottom line is this, the voters of the Hall of Fame need to step back and remember what puts a player in the Hall of Fame. It’s the professionalism the player showed, career stats and how he treated the game. It’s not how high one can do a back flip or how charming one can be to the media. If the voters can clear their minds of that then Alan Trammell will be a Hall of Famer.